This home has been beautifully updated and is ready for you to enjoy island living. Whether you are looking to invest or make this your home, this lovely property offers 2 BR/ 2 BA has an open floor concept with stunning upgraded finishes throughout. 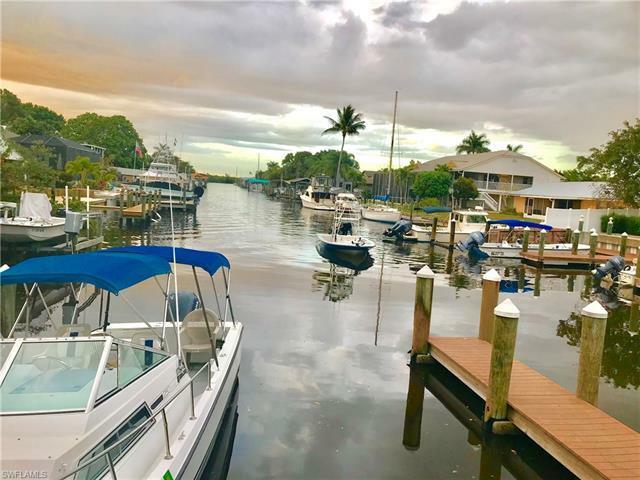 If you love boating or fishing, this home will definitely fit your lifestyle this unique property is only a short walk to the water, surrounded by all the island amenities... shops, restaurants, marinas, boat ramps, and of course the inshore & offshore fishing and beaches. Make this piece of Paradise your today! © 2019, The data relating to real estate for sale on this Website come in part from the Broker Reciprocity Program (BR Program) of M.L.S. of Naples, Inc. Properties listed with brokerage firms other than are marked with the BR Program Icon or the BR House Icon and detailed information about them includes the name of the Listing Brokers. The properties displayed may not be all the properties available through the BR Program. BR data on this website is provided by on behalf of Diane Fowler. The source of this real property information is the copyrighted and proprietary database compilation of the M.L.S. of Naples, Inc. Copyright 2006 M.L.S. of Naples, Inc. All rights reserved. The accuracy of this information is not warranted or guaranteed. This information should be independently verified if any person intends to engage in a transaction in reliance upon it. Data last updated 2019-04-19 07:36:49.